Cologne, September 13 - A Facebook study that shows which are the highest interaction driving post types has just been released by quintly, the social media analytics provider. As increasingly more businesses ramp up their content marketing efforts, reaching the right audience is getting more and more important. The study helps marketers to share content more effectively by understanding which post types are most engaging and which are less compelling for the audience. The study starts by showing the most frequently posted types, then steps deeper into the analysis into the amount of interactions these different posts have received. Main takeaways are that links are posted most frequently, even though interactions are significantly lower than on images or videos. Thus companies have to be confident in their strategy and ensuing posting patterns. 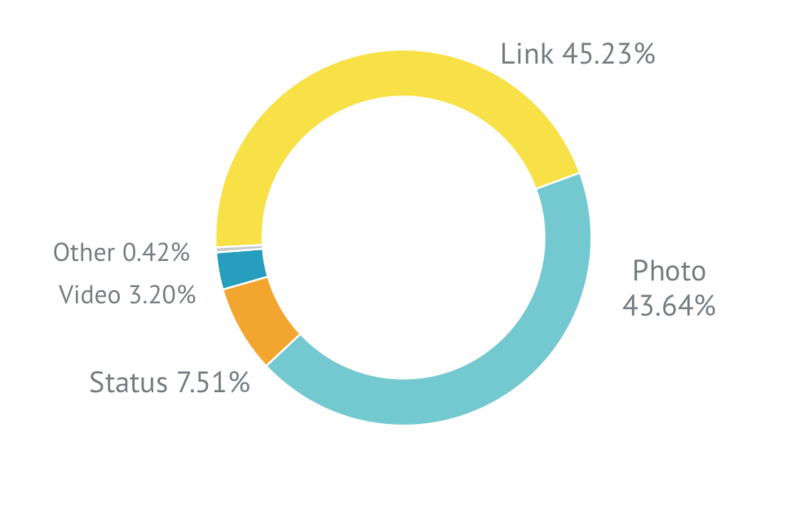 If the main goal is to receive higher engagement, posting links might not be optimal. Additionally, marketers will be able to see the development of the past and can identify trends for the future. The analysis is based on a sample set of 100,000 Facebook pages and more than 8 Million posts from the period of June 2014 to June 2015.